Countdown asked us to rebrand their popular Signature 2L ice cream range to the new Fresh Core look. In a saturated category, they wanted to stand out, while feeling fresh, modern, and appealing to everyday shoppers. Bold flavour differentiation was also key, both for range navigation and communicating flavour and indulgence. The challenge was how to make a big impact in a limited amount of space. No small task. 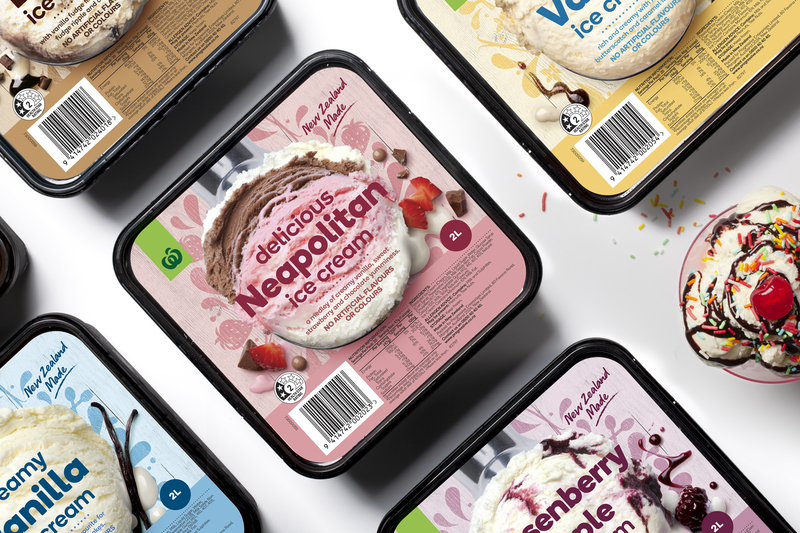 Our design’s oversized scoop of ice cream says generous ingredients and indulgent flavours, while also housing the product name and descriptor. 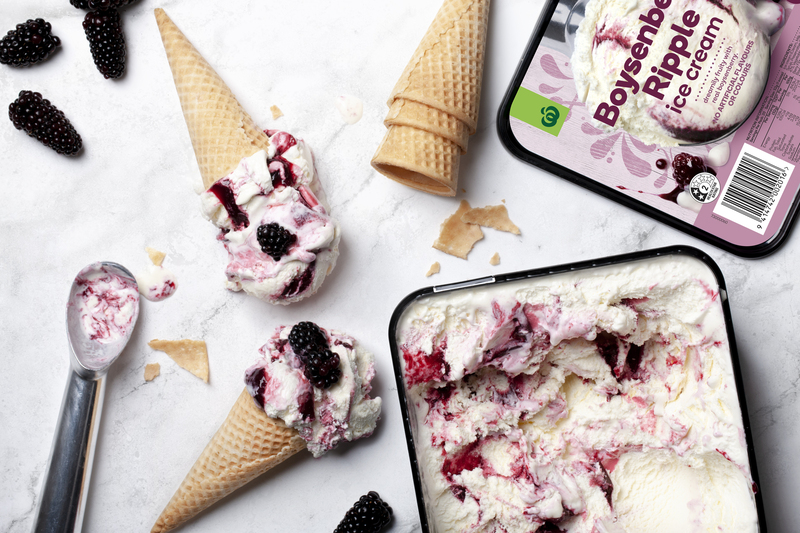 Exuberant illustration surrounds each scoop, complemented by photographic ice cream drips and abundant ingredients like chocolate chunks, ripe berries and vanilla pods. Together, these elements add character, detail and identity, while typography, illustration and the product information strip build strong colour blocking in situ. 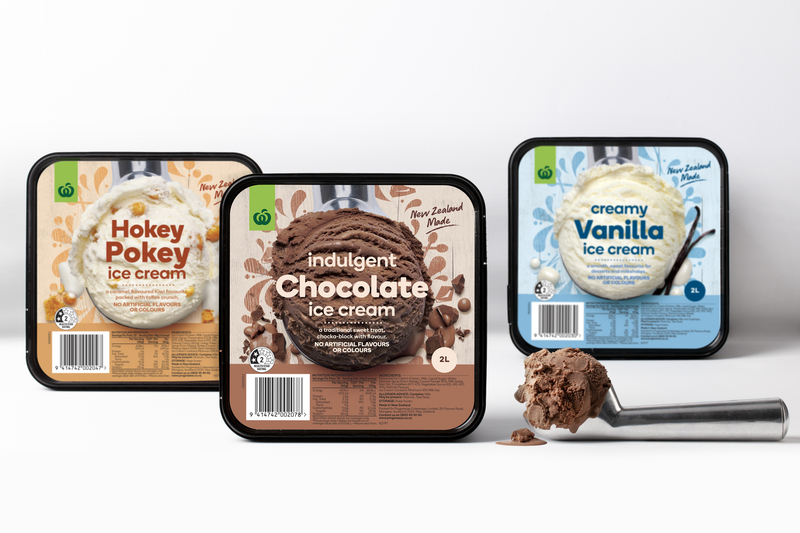 The result is an indulgent, everyday selection of ice cream flavours that work as a range to create cut through and shelf appeal that will freeze out the competition.